Once it hits the show room floor, the Tesla Model X SUV will be the newest automobile sold on the market with gull wing doors. Although the Model X has seen delays for its release which was originally scheduled in late 2014, the auto is already expecting to be sold out for its first model year. The all-electric crossover will be sold with the same battery varieties that are being offered with the Model S sedan (these include the 60 kWh, 85 kWh, and 85 kWh Performance options). 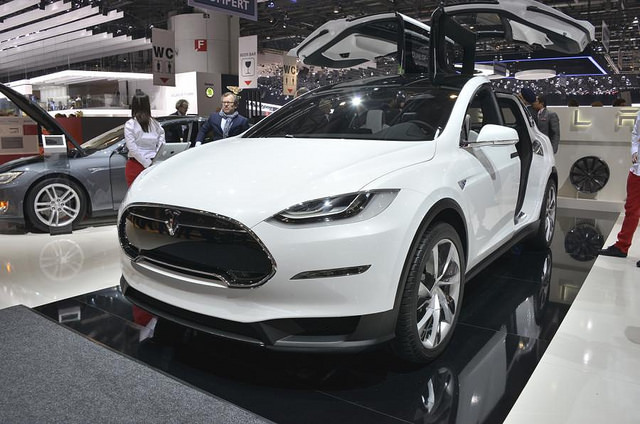 All variants of the Model X SUV will be sold with a dual-motor all-wheel drive (this is an option for the Model S). Fans of gull wing doors and emerging technology are already lining up to make the Model X SUV a success.